Planning a winter vacation for a mixed-ability group is easy as long as you do your research into what a resort has to offer. There are always some obstacles you come up against when planning a vacation for a large group. This is especially true of ski trips when you have a variety of ability levels within the group. Some resorts cater mostly to beginners, others have plenty of expert terrain. Normally, if you’re booking a small trip, you’d cater to your own tastes, but when booking for a large group, you’ll need to think carefully about the resort you choose and the people you’ll be traveling with. Spend some time speaking to your group to find out more about their abilities, what they want to get out of a trip and any other requirements they might have. You can then use this information as you begin to research resorts. You’ll need to choose a resort that has runs appropriate for beginners, intermediate and more advanced skiers, too. If you take a look at the mountain stats for any resort, they’ll tell you the exact percentage of runs for different levels. Beginner skiers might not be as dedicated to the sport as the more advanced skiers. 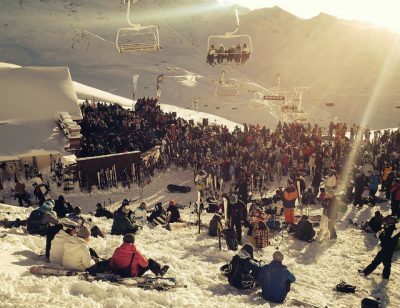 So you need to ensure there are plenty of other activities for anyone who doesn’t fancy spending the whole time on the slopes. 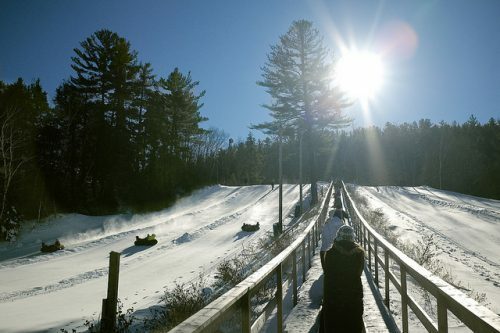 There are fun activities you can do as a group on a winter vacation. Consider booking everyone onto a snowshoe tour. It’s a great way to see the local area and get some ideas for where to ski later in the trip. Also look into the surrounding area. Are there nearby towns you could visit for a shopping trip? Or maybe there are ample chances to see wildlife in a neighboring valley. If you have all these options, it gives you the chance to create an exciting and varied trip for your group. 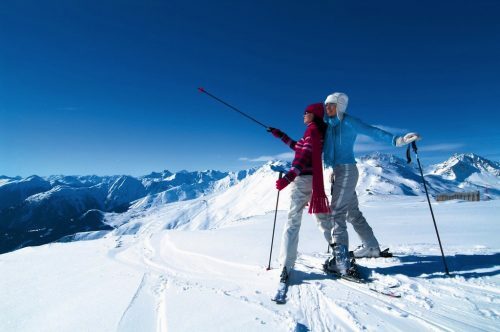 If your group has a vast range of abilities, you probably won’t be able to spend a day on the slopes together. This is why it’s so important to have somewhere you can all socialize. This might be a condo with a great living room, or it might be a nearby bar. Carefully choose your accommodation and its proximity to all the great meeting places. Of course, you could all plan to meet on the slopes, too. All resorts will have a lodge somewhere on the slopes – in fact, you’ll probably have all sorts of places to choose from. Before you head out for the day, agree to meet for lunch or an afternoon hot chocolate. This is a great way to bring your group together to discuss the day. It also gives the less experienced skiers a chance to chat with those who might be able to give them some advice or recommend routes that would be suitable for the more confident intermediates. It also gives you all the chance to discuss plans for the evening and perhaps agree on somewhere to go for dinner – which may need to be booked ahead, depending on the size of your group. If a resort is known for its great intermediate runs, it can be frustrating for beginners to be stuck on the easier slopes. Make sure you choose a resort where lessons – both group and private – are available. This gives your beginner skiers the chance to learn a bit more and gain some confidence so they can have fun on the intermediate slopes with the rest of the group. Ahead of your vacation, it might be worth organizing a few lessons on a dry slope or indoor ski slope for the true beginners in your group. This will give them a basic knowledge of skiing that will make it much easier to keep up with the more experienced members of your party when you reach your destination. The trick to organizing a trip like this is to make sure there’s something for everyone to do, no matter their skill level. These might be alternative on-slope activities or a wide range of après-ski choices. If you’re looking for more advice for your ski trip, sign up to our newsletter, where you’ll get the latest tips straight to your inbox!